Over the past several years, the term “smart grid” has grown from a buzzword to a working reality. Millions of two-way communicating, digital smart meters have been deployed, distribution grid sensors and control systems are coming online, demand response devices are shedding peak power in homes and businesses, and utilities are tying together the overarching networks and software systems to make them all work. But this is just the start. Pike Research predicts that $200 billion will be invested in smart grid infrastructure around the world in the next five years — a figure that would make the Department of Energy’s $4 billion smart grid stimulus boost look like little more than a down payment. 1). Bandwidth and Latency: How much bandwidth will be needed? Most of the communications networks being deployed for the smart grid today are based on lower-bandwidth, lower-cost technologies meant to support smart meters. Since most smart meters don’t “talk” to one another that often — they may send back signals only once every 15 minutes or hourly — it’s worth going with lower functionality to save money. Utilities have to get all their infrastructure costs approved by public utility commissions, so they commonly want to spend as little as possible. But a whole host of smart grid functions could need more robust networks. 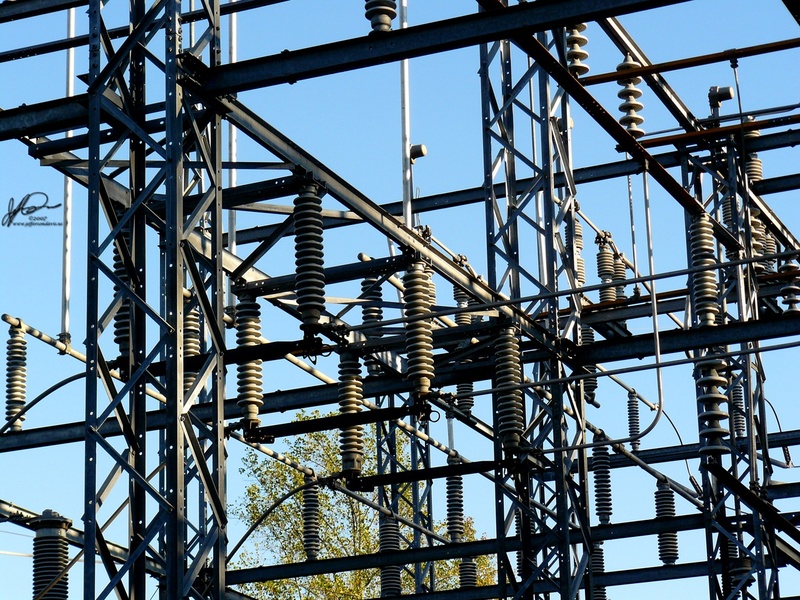 Controlling switches and breakers on distribution grids requires very low latency and high reliability, while establishing a more data-rich and consistent connection with utility customers could need higher bandwidth. Some utilities are already considering higher-bandwidth options like WiMAX, as well as wide-area WiFi from companies like Tropos Networks. Cellular carriers are also pitching their higher bandwidth 3G and 4G networks to utilities for rent. 2). Rent or Own: Building and owning a network, and renting space on a commercial network, present unique advantages and challenges for utilities. Owning the network gives the utility control and avoids any issue of having to share bandwidth with other telecom customers. In addition regulated utilities also get to earn profits on capital expenses like building their own networks. On the other hand, renting space on a network allows a utility to avoid the upfront costs of building a network, and also could offer the utility the tech advances that the large telecoms can deliver. Phone companies have been working hard to develop utility-friendly contracts, and vendors like SmartSynch have built businesses around delivering smart grid communications over cellular networks. 3). WiMAX Smart Grid: WiMAX is the high-speed wireless technology that’s been taken up by Sprint (s) and Clearwire (s CLWR) as an alternative to the Long Term Evolution (LTE) technology being developed by the other major cellular carriers. It’s an open standard with products being developed by big vendors including General Electric (s GE), Motorola and Intel (s INTC) that can be deployed in utility-owned networks. Utilities experimenting with WiMAX for smart grid include CenterPoint Energy, National Grid, San Diego Gas & Electric and Consumers Energy. WiMAX for the smart grid has been getting a lot more attention as of late, courtesy of its chief champion in the industry, San Francisco-based startup Grid Net. In the last six months Grid Net has landed some utility contracts and claimed two coups — an equity investment from Cisco and the hiring of Andres Carvallo, a well-known smart grid executive from Austin Energy, as its new chief strategy officer. What WiMAX has going against it at present is high cost and low availability. Grid Net CEO Ray Bell previously noted that WiMAX chipsets cost around $36, but he expects that price to fall to about $12 and keep dropping as more are produced. And for any utility that wants to rent space on a public WiMAX network rather than build their own, there’s the question of coverage. In the U.S. Sprint and Clearwire have been slow to roll out their public WiMAX networks, and there were only about 3.9 million subscribers as of late last year. 4). Are Smart Meters The Key? Smart meters — the two-way talking meters that serve as cash register, communications gateway and customer-side sensor device for utilities — have been the public face of the smart grid. The DOE smart grid stimulus program is expected to lead to some 18 million smart meters being installed in the next three years. But the initial public response to them hasn’t been so good — lawsuits are underway in California and Texas, with customers claiming their new smart meters have caused their electricity bills to skyrocket. The utilities involved say the meters are working properly, but there’s no doubt that the complaints have been a public relations setback. Beyond the backlash, some smart grid services that smart meters are supposed to one day provide like outage detection to help utilities spot and correct power failures, and voltage monitoring to help grid operators keep power smooth, could be delivered more cheaply and effectively by distribution automation systems. Pike Research estimates distribution automation systems will make up nearly a quarter of global smart grid investment over the next five years. The most closely watched future functionality for smart meters is as a gateway to home area networks (HANs) that can connect to interfaces or Web portals for homeowners to track and manage their energy use. But much of the usefulness of the consumer-utility connection — such as delivering changing real-time prices to customers — could be hard to do over today’s smart meter networks. At the same time, telecommunications and cable companies are envisioning home energy networks connected via their own broadband connections, and some startups are looking at ways to leverage home security or entertainment systems to do energy monitoring. All of these factors have likely played into Pike Research’s prediction last year that smart meters would only make up 11 percent of the global smart grid investment predicted over the next 5 years. 5). Balancing Amounts of Energy Data: This week, a who’s who consortium of smart grid startups, investors and corporate heavyweights like Google (s GOOG), GE (s GE) and Intel (s INTC) sent a letter to President Obama demanding that the federal government make policies to give Americans access to their energy usage data. But opening up smart grid data could also present privacy and security concerns, and utilities and regulators are worried about the mishaps that might result. Concerns range from putting home energy data in the hands of scammers, telemarketers or overzealous law enforcement officials, to hackers taking down the grid by getting smart meters to malfunction. Companies like Google have a vested interest in freeing energy data for wider use. The search engine giant is one of many developing a home energy platform that will need utility customer data to work well — Microsoft (s MSFT) is another, and there are dozens of startups competing in the same field. Limiting the availability of smart grid data could well put a brake on the innovation that could result from these efforts. But utilities and regulators will be hard-pressed to balance those needs against the very real need to keep the grid reliable — and to keep their customers from losing their privacy. Images courtesy of JeffersonDavis’ photostream, Firas’ photostream, BobDevlin’s photostream, Somewhat Frank’s photostream, Darwin Bell’s photostream, and alancleaver_2000’s photostream.